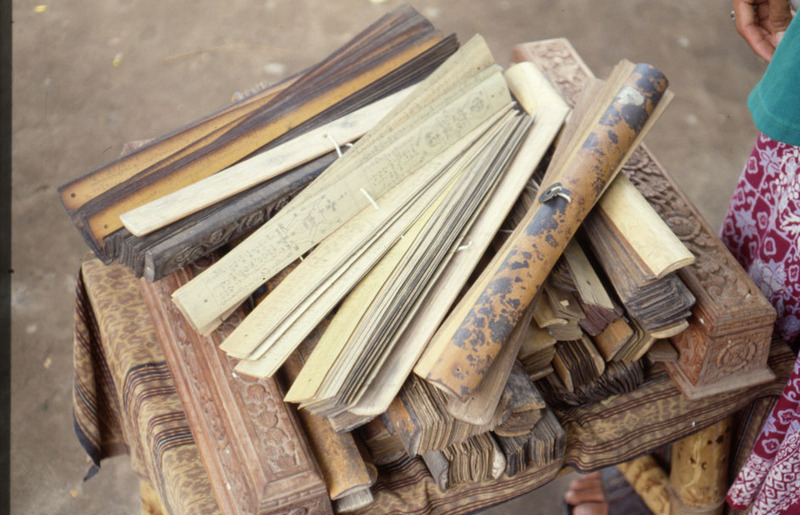 Palm leaf ["lontar"] books (Bali, Indonesia). Oliver, P. (no date) Palm leaf ["lontar"] books (Bali, Indonesia).. Available at: https://radar.brookes.ac.uk/radar/items/5bc2c1ac-e873-4645-94f8-71fcaf97fd18/1/ (Accessed: ).